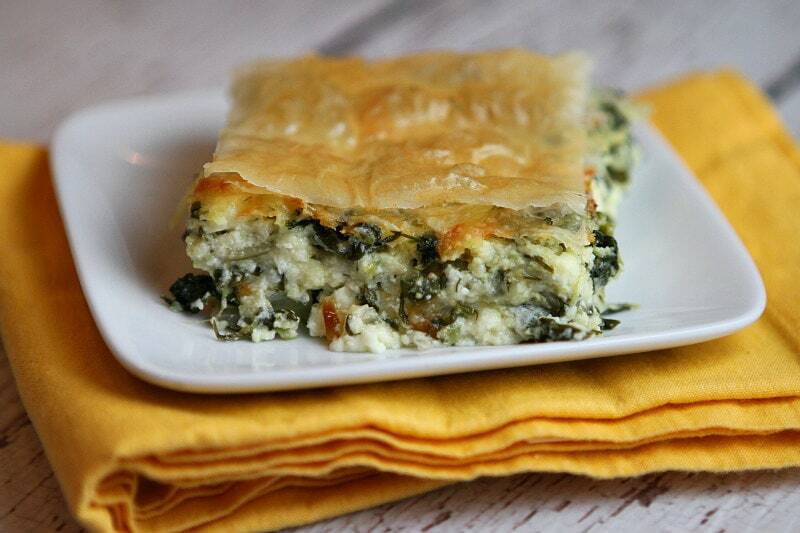 This Greek Spinach Pie is a dinner recipe that my family absolutely loves! 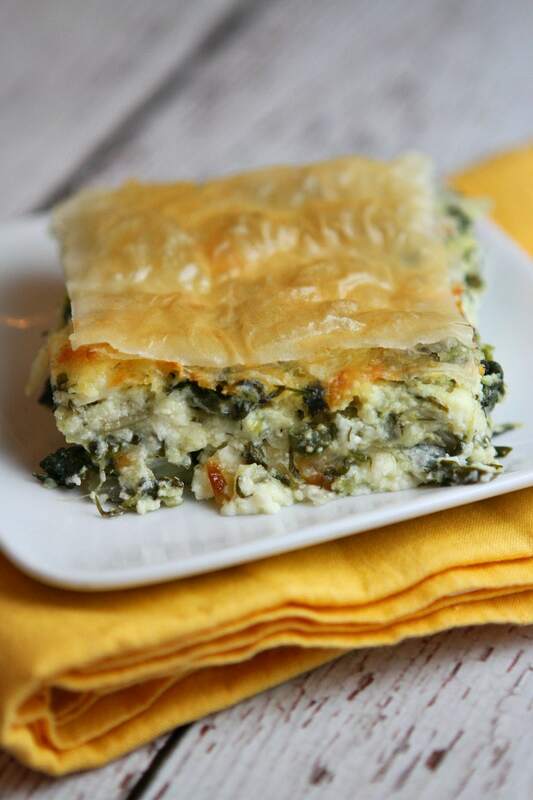 Watch the video showing you how to make Greek Spinach Pie, then scroll to the bottom of this post and print out the recipe so you can make it at home. I’ve always, always been drawn to Greek food of every kind. I love lemon. I love spinach. Feta cheese is my favorite. Dill adds life to everything. And I adore lamb! So if you were taking me on a hot date and you took me to a Greek restaurant, I guess you could say I’d be pretty happy. (I’m married though… so that hot date would have to be with my hot husband). Is this an authentic Greek Spinach Pie recipe? No, this is not authentic! This Greek Spinach Pie recipe is a homemade version of the traditional Greek spanakopita with a couple of twists. This version utilizes three cheeses: feta, ricotta and jack. There is dill. There is sauteed onion. 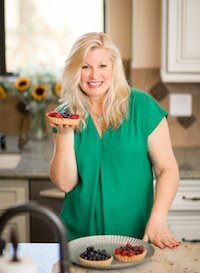 This pie makes a great dinner item (my family loves it so I’m going to call it family-friendly!) It’s especially awesome served with Greek Orzo and Chicken Soup! 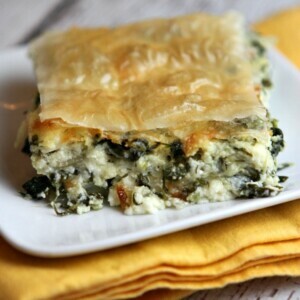 How do you make Greek Spinach Pie? 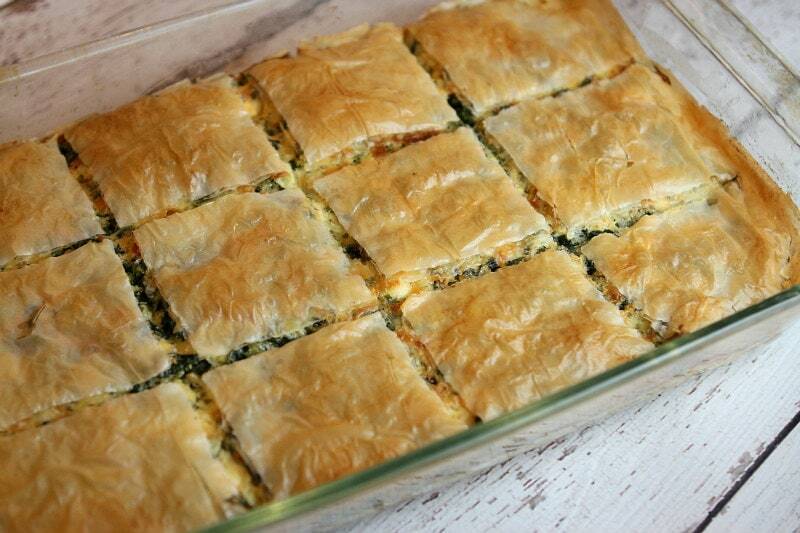 My Greek Spinach Pie is made layered with phyllo, melted butter and the spinach- cheese filling. Before I bake it, I score the pastry with a knife so the baked squares will be easy to cut out of the pan for serving. It bakes up so perfectly, and the scored square servings naturally kind of pull apart as it bakes. The baked pie pieces are delicious! The filling is tender and cheesy and wonderful, and it’s layered with crispy, golden phyllo. It’s a neat twist on the classic Greek spinach pie (or spanakopita). I hope you like it as much as we do! 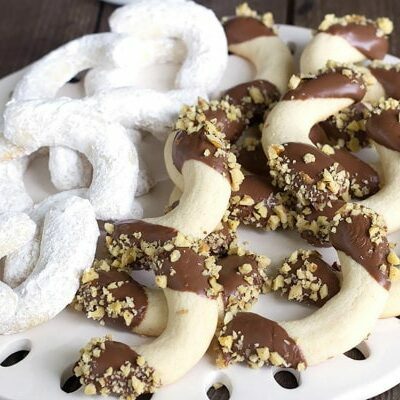 Great, tasty, family favorite recipe. Preheat oven to 350°F. Butter a 13x9x2-inch baking dish or spray with nonstick spray. In a medium skillet, heat the olive oil over medium heat for about 1 minute. Add the onions and cook until softened, about 5 minutes, stirring often. Set aside. In a large bowl, stir together onion, drained spinach, ricotta, feta, jack cheese, eggs, dill, parsley, salt and black pepper. Spread half of filling in baking dish. Cover with 2 pieces of the phyllo pastry (just tuck the edges in on the sides). Brush pastry lightly with melted butter. Top with one piece of phyllo. Tuck in any overhanging edges. Spread remaining filling over phyllo. Top with 2 more pieces of phyllo and brush lightly with butter. Top with remaining phyllo sheet and brush with butter. Use a sharp knife to mark 12 squares by cutting through the top layers of pastry. Bake until phyllo topping is golden and filling is bubbling gently, about 45 minutes. Use a sharp knife to cut through the marked squares. Serve warm. *If covered tightly and refrigerated, this pie can be assembled early in the day and baked later. Cold pot pie will probably need to bake an additional 5 minutes. This recipe was originally published in 2015. It was edited and re-published in 2018. It may be too late to ask a question, but here goes anyway. 🙂 I want to make sure I’m reading the recipe correctly. There is no phyllo on the bottom – just in the middle and on the top, right? thank you. Yes, no phyllo on the bottom. Oh! And if you have scallions chop about 4 into the filling too! we don’t get it here and not far a lack of searching believe me. I use olive oil to brush the phyllo. Butter is usually used when making sweets with phyllo (baklava). And alot more olive oil in the filling. great to hear- thank you! Hi, this looks delicious. I found your recipe on Pinterest while looking for recipes that use fresh spinach. I bought a huge bag of spinach to make soup and I’m now determined to find ways to use the rest of the bag. 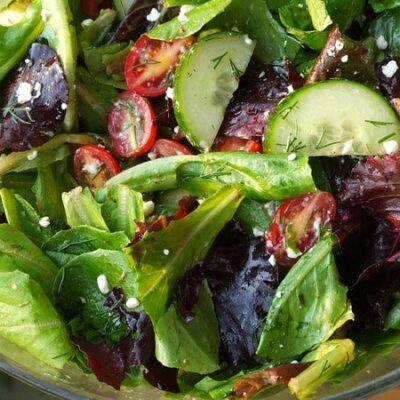 Do you think fresh spinach would work in this recipe? If so, how much and would I need to cook it first? Thank you! Fresh spinach will yield a lot of moisture. I’m not sure it would work the same. Can I used puff pastry instead of phylo? No, it will not work— must use Phyllo! can I make it a day before and then just bake it the next day? I wouldn’t think so. The filo will not hold up well. Lori, this looks so good!! I have to make this for Curtis soon! this looks delicious. I love all the ingredients. 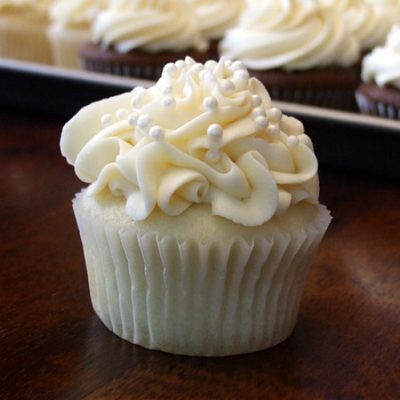 This looks so so delicious!! Now I am craving this! 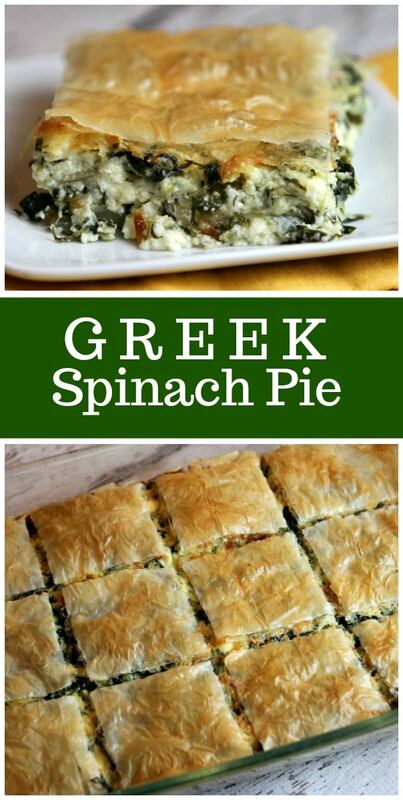 Love spanakopita and this one looks great, especially with the triple cheeses! 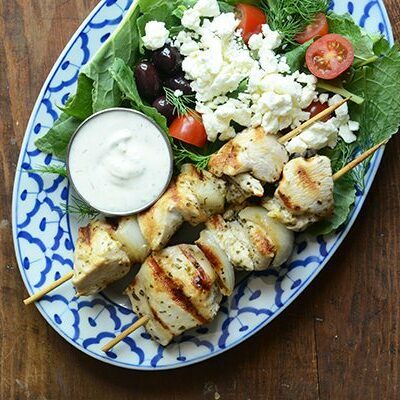 Greek food is one of my favorite too! The crust looks so yummy, crispy, and golden! 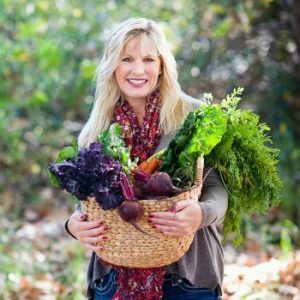 My family is so picky about foods without meat. Can you suggest a tasty protein to add in? 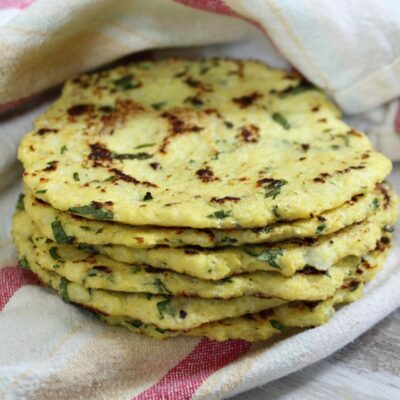 You can serve this as a side dish, and then make some chicken as the main dish! I so enjoy Greek foods! 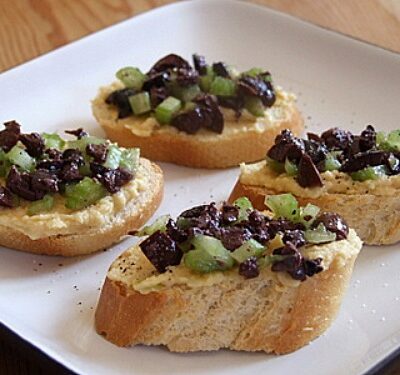 This recipe looks like it is what I enjoyed at our favorite Greek Restaurant. Thank you for sharing. Sounds amazing! This has all my favorite flavors. Ohhhhh I can’t wait to try this Lori!! Absolutely lovely! Being Greek, I grew up with my grandfather’s leg of lamb, my aunt’s spanakopita — I was so lucky. Good Greek restaurants are few and far between, so I’m trying to make Greek food more often at home. Spanakopita is one of my favorites, and I loved how you made a pie out of without so many layers of phyllo. Delicious! Greek food is my favorite international food. I worked for a year at the BEST Greek restaurant in Portland and ate Greek food daily. It was so awesome! I LOVE spanakopita. It is one of my favorites and I sometimes make it. My youngest doesn’t like it so we don’t make it often.